RCI is celebrating after reached a milestone of 25 years of happy vacations in India, having first become established in the country in 1992. Since its inception that year, RCI has affiliated resorts in over 60 unique destinations across the country, giving holidaymakers access to more than 200 resorts in India as well as its global portfolio of more than 4,300 resorts across 110 countries. RCI has partnered with some of the best timeshare developers in the business – from Mahindra Holidays to Sterling Holidays which are RCI’s oldest partners, to Country Vacations and other independent properties, giving owners more choices and quality vacation opportunities than any other exchange company that in the world. 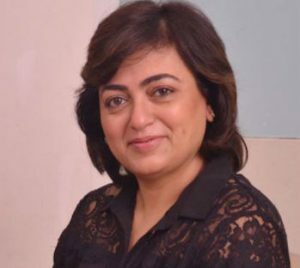 Sabina Chopra, managing director of RCI India, said: “RCI has grown to become the pioneer of holiday exchange and has today revolutionized the concept of timeshare. It has played a pivotal role in shaping the holiday exchange legacy and has spurred the expansion of its supreme offerings in the Indian market. Jonathan Mills, head Asia Pacific, RCI, said: “It is a coveted milestone for us to complete 25 years of operation in India, a key market for us. At RCI, there is nothing more important than delivering a positive holiday experience for our customers. Chopra added: “In our journey over the years we have come to understand the main criteria for customers to choose timeshare over other travel options is the hassle free experience. Club Mahindra Holidays and Sterling Holidays are two of RCI’s oldest partners in India. Ramesh Ramanathan, managing director of Sterling Holidays, said: “RCI is one of the forerunners in establishing the vacation ownership concept in India and we are glad to partner with them in this journey. “One of the distinguishing factors of RCI is their resort ranking systems that follows thorough quality checks making it easier for a member to choose a property within any given destination in India and abroad. We are proud to establish that our resorts are ranked very high and are some of the most sought-after properties for vacationing. Vishal Vithal Kamat, CEO of Kamat Hotels India Limited, is another key partner of RCI. He said: “Just like any Silver Anniversary occasion, the partners cannot help but toast and remember with fondness the challenges they have overcome together to achieve what is truly a testament of compassion, compromise and conviction in each other.